Players that have played Cashunt this year you can make a little cash yourselves. Introducing A New Game That Will Be Available Starting in 2009! 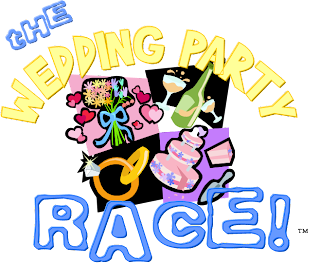 The Wedding Party Race is one of 6 new games slated for the begining of 2009! This game is a great event to have with your wedding party prior to the actual wedding itself. It is a great icebreaker for the whole wedding party and also a great begining for future get togethers. 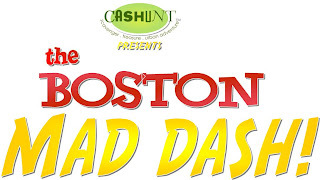 The Wedding Party Race will involve 6 wacky, fun and competitive competitions in one mad cap race around the city of Boston. Plus you will recieve a cd/dvd of all the photos and videos from your event! New York, New Hampshire, and Chicago will see this race in Spring/Summer 2009. For more information call our office at 866-276-4733 and speak for more information on our latest addition. REMEMBER OF THE ONGOING PROMOTION ALL 2009 GAMES BOOKED PRIOR TO JANUARY 1, 2009 ARE DISCOUNTED! FIDELITY Takes The Top Spot Breaking Team Leigh Roy's 17 Week Streak! After dominating the top spot for 17 weeks Team Leigh Roy fell to the hands of Fidelity. Fidelity twice in a row in 2007 broke the season record and now in 2008 did it again. This group has always been very competitive with A LOT of energy, a no challenge seems to big. The winning team of the group "Team Quality" shown above beat six other teams, captured the win and captured the record. As always I tip my hat, and as always it was a pleasure. We will be offereing Cashunt games in the beautiful and exciting city of Manchester New Hampshire in 2009. We will have one game in particular that wil be solely based on Manchester, but as always all our games can be cutomized to Manchesster as well. More information on Manchester games will be available in the upcoming months. 2009 CASHUNT SEASON BOOKING DISCOUNT PROMOTION! 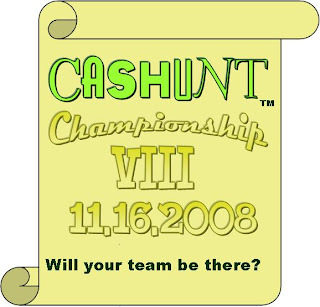 We are almost gearing down to our final months of the 2008 Cashunt season and may I say the best year ever in the history of the game! As always this time of year we offer the public discounted rates for any cashunt game booked for 2009. The discount lasts until and only applies to anyone that books by 12.31.2008. We are still in this crazy and fantastic year of Cashunt but by the looks of it 2009 will only be better. This week we decided to expand our sucessful teambuilding department to include far more exciting games for our corporate clients. Our mission is not to ever be typical but original and exciting, so with that being said these new games ontop of our current teambuilding games will bring our clients that. These games will be released for booking for early 2009 and will give that ultimate cashunt competition feeling to our clients having them wanting more. They will be different, challengeing, funny, and by no means a "mickey mouse cookie cut of someone elses game". Keep your eye out for more postings because those games will be avaialble very soon. Cashunting in a tropical storm?!?! Man, what a day first we have some sun today, then it is HOT as hell and now I am trapped in a store praying for Hanna to stop all this while there are 2 games going on?!?!? The good thing is that my teams do not mind it one bit, so in that case, it's not all that bad. Where is my umbrella?!?! A Small Family Breaks Into The Top 4! This week a small family by the name Panagopoulos broke into the top 4 by competeing in "The Great Family of The Year Competition" Not only did they recieve a very beautiful trophy but they also as of now are currently in the top 4. They had indicated they deligated which events to do to collect as many points as they could in a shorten amount of time. As you may know a cashunt is typically a 3 hr game...they did it in 2. So as of now they have the 4th spot, congrats Panagopoulos family. Great Test Game This Past Weekend! As you may or may not know there was an annoucement a couple of months back that one of our newest games for 2008 / 2009 was "The Family Of The Year Dash". This past weekend we did a couple of test games and they went fantastic and we think that this is another great addition tho the Cashunt Family of Games. The game comes in 2 versions, one as a family vs family competition that challenges each other in a 3 hour 7 game scavenger hunt and then there is the deluxe version which is awesome. That version consits on a 2 hr. 6 game scavenger hunt and 9 game back yard challenge which is really funny. Anyhow we think that there is no better competition than a family challengeing another family as family of the year and having a nice trophy to prove it. Check it out. As mentioned before some games would be using digital cameras. Well I need to update that and mention that ALL games will now be digital. This comes from the recent announcement of Polaroid indicating that they are ending their instant picture department. So with that being said after 7 years of always using instant cameras we are now updating ourselves. The exciting thing about this change is that we have made the games even more creative and challengeing because of using this new tech. The new version will start when the 8th season offically starts March 1st. We are very happy to announce that though all the plans are not yet set. We at Cashunt and another company that will be announced very soon will be working together to fight autism. It will be an event that will be taking part early this fall and will be taking part in Boston. We are very excited about this project because we believe this is our way of people having fun while helping to fight this disease. Registration and more information on this event will be coming soon. If you are a charity and would like us to help contribute our service for your cause please give us a call. thank you. A SPECIAL AMAZING COUPLE DASH NEXT WEEKEND!! 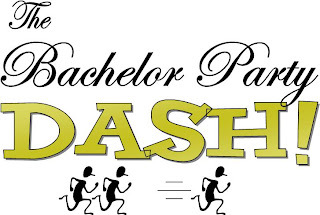 We will be having in next weekend due to the valentines season a special Amazing Couples Dash!!! There are only six openings for the game starting in boston at 3pm and ending at 6pm. Reservations end this Tuesday. And the game is teams of 2. 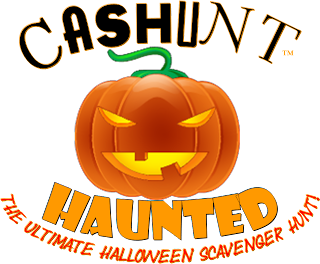 For more information please e-mail us at cashunt@gmail.com and a cashunt game coordinator will call you with more information. 3 New Games To Be Released In MARCH 2008!! This game will be a comination of a bar hopping, treasure / scavenger hunting game that will include riddles and more involved in the game. The Game is Set In Boston. Perfect for a game amongst friends, bachelor and bachlorette parties and more! Is game that is another way to play Cashunt in a more challengeing and hysterical Way! Is our game that is for our little Cashunters out there. It a little twist on the old egg hunt. This is a great game around the easter holiday! 3 NEW CASHUNT GAMES TO BE ANNOUNCED! Book A Game By 2/8 to Recieve a Discount On Any Live CASHUNT GAME! As always when we start each year for New Cashunt Season we offer a discount window for all our Live Cashunt Games. Being that it has always worked so well and the public too advantage of it we are yet offering it once more. You must book a game by 2/8 to recieve the discounted rate. In order to do that call our office and speak with a game coordinator at 866-276-4733 and mention this coupon code rc28. If you have any questions please feel free. VIDEO IS ADDED TO THE BRIDAL DASH!! We had mentioned earlier a couple weeks ago that since we are going to digital with the game we are adding an additional game to the mix. Bridal Dash will include also a video hunt in the game just to makes things even zanier. What would those video items be? That’s our secret and your funny surprise, and just another added memory to the bride’s big night! 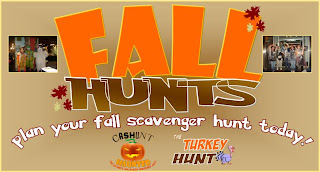 go to www.cashunt.com for more info. 1st 2008 Gift Certificate CASHUNT WINNER! We would like to congratulate Maureen Gallagher on her win of a $50 dollar gift certificate to COACH! Maureen just simply went onto the cashunt site saw the trailer figured out the clue and got her award. It was that easy. As some of you might know we do these promos randomly through the year for the past year and past GC's included Best Buy, Macys, Apple, Soiree, to name a few. So always look onto the home page of cashunt because you never know when we may spring up a promo. Always remember the promos last on 48hrs. There are more to come! Here is the promo trailer Maureen saw that brought her to her reward. Keep your eyes peeled at the end.